The aim of premiumlacewig.com is to provide our customers premium quality human hair wigs, weaves, closure or frontals with reasonable price and knight service. We totally understand that select a reasonable wig is a bit difficult on online company, so we accept the return & exchange for our stock hair products. Customize order is not acceptable for return or exchange, because all details are specially made for you and no one else can wear the hair. Please check below for our Return and Exchange policy. 1. Please make sure the hair that you want to return is in original condition, we can accommodate exchanges or returns of the hair that has NOT been washed, tampered, altered and the lace is NOT cutted. We can not accept Any return or exchange if the lace or hair is already cut. 2. We have domestic warehouse in USA, UK, Germany, Australian and China, you can return it back to our warehouse where it is near you. Contact us at premiumlacewig@yahoo.com for detailed address. 3. Cap size is not the problem of quality, please double check the cap size before you place order, you can select the cap size on the order page or leave us message about your cap size. We have Small (21.5inch), Medium (22.5inch) and Large (23inch) for the circumference full lace wigs. 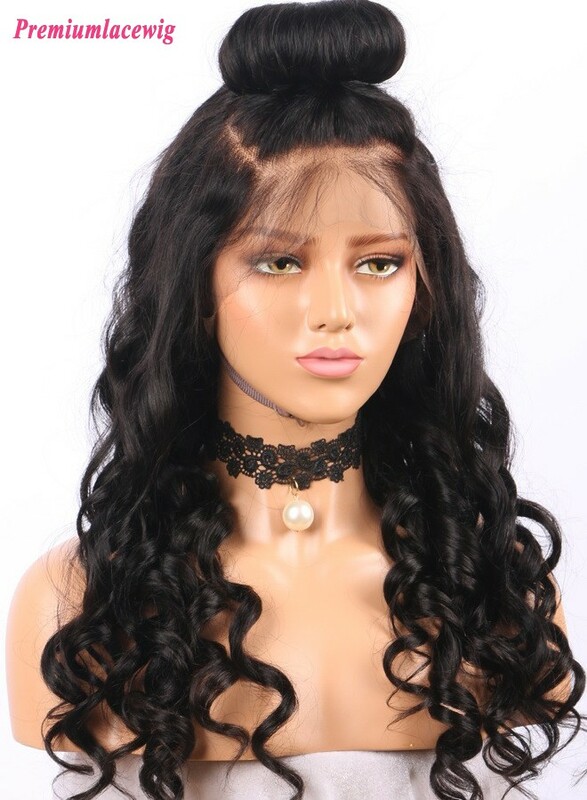 We only have medium cap size for lace front wig, but there is adjustable strap and combs for lace front wig, so usually it is suitable for most people as the cap can be adjusted. 4. We will afford the return shipping fee if it is the quality problem. If it is not quality issue then buyer need to afford the return shipping. 5. Please write down your order number and name on paper and put into the parcel so that we can know this parcel belongs to you when we receive the parcel. We can accept the order cancellation or change if you could contact us within 36 hours after you placing your order. For instock hair, we can cancel or change your order any time without charges before shipment. For custom order, 30% payment will be charged as a restocking fee if you want to cancel your order. Please think carefully about the custom order details before placing a customize order. If you have any questions that you may have, please contact us at premiumlacewig@yahoo.com or info@premiumlacewig.com for details. notes: Please be ware that there is no cancellation or changes if the custom order has been shipped. Please contact our customer service after you received your package via email at premiumlacewig@yahoo.com or info@premiumlacewig.com. Please do not cut the lace or hair if you want to return, you can try on first to see if you like the hair without cut the lace, but please do not use or do anything that may damage their original condition. You can install of cut the lace if you confirm to use the hair, but we will not accept any return or exchange after your cut. Our customer service will process your return or exchange within 1-3 working days, after the return or exchange request has been authorized, then you can return the hair back to us. Please ship the hair back to us at the address we instructed, please inform us the tracking number after you returned. Please put notice in the parcel about your order number and name so that we will know whose parcel it is when we receive. Notes: You can return the parcel back by postal service from your local post office, it is much cheaper than FEDEX, UPS or DHL. We will issue the refund as soon as we receive the parcel back from you if the hair is in original condtion. Notes: If you don’t want to wait so long for an exchange, then you can place an new order so we can ship your new order first. And we will issue you the refund as soon as we received the return hair. The refund will be returned by PayPal, Credit Card or Debit Card to where you paid at first. If you paid from PayPal balance then the refund will be instant, Credit Card or Debit Card refund process may take about 2-4 business days which upon the bank transaction time. Many customers are asking whether we offer repair service or not, yes we are now offering repair service for even one wig, the repair cost will depend on the wig conditions. We will need to wash, brush and check the hair loss for the wig that needs to repair, and the repair cost will be calculated after we examined the wig. And the repair time may take about 7-30 days which upon the difficulties of the repair.